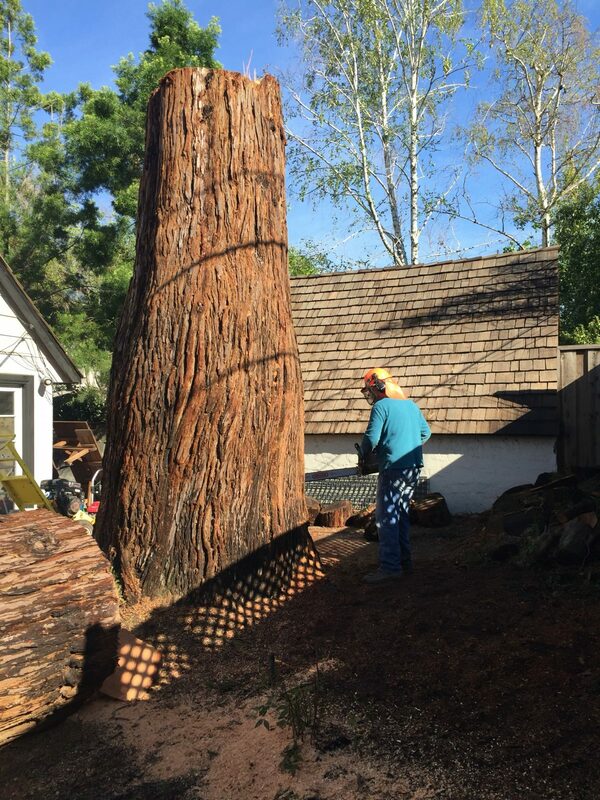 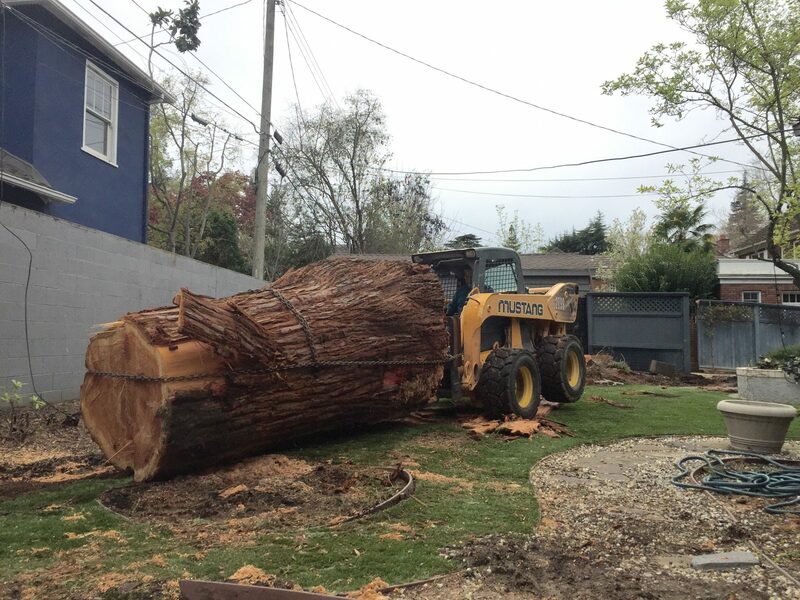 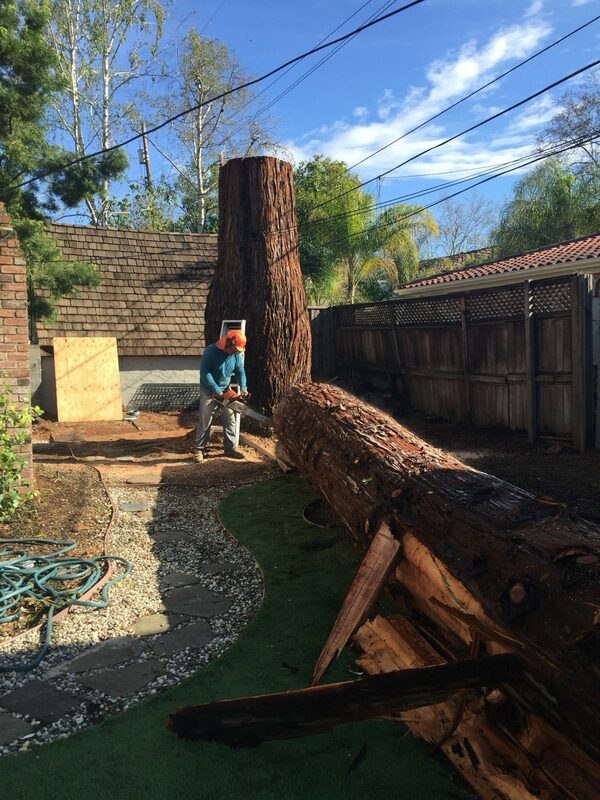 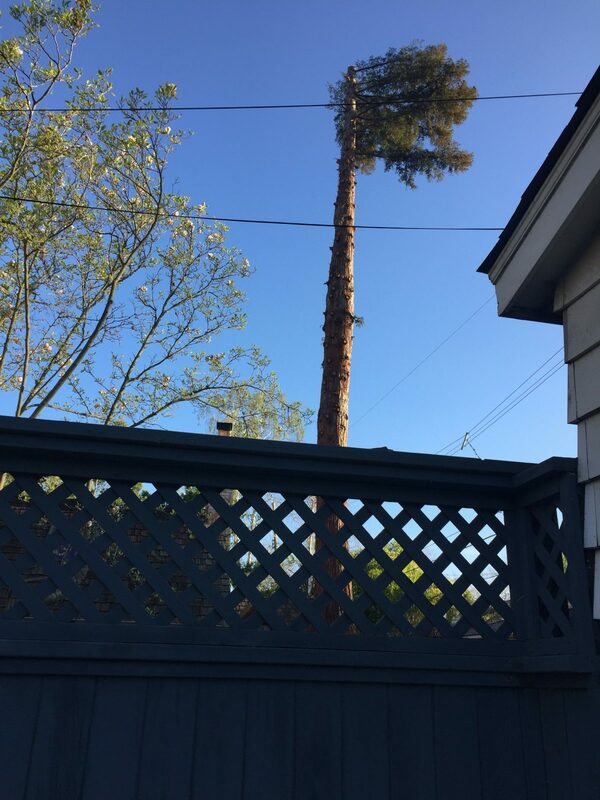 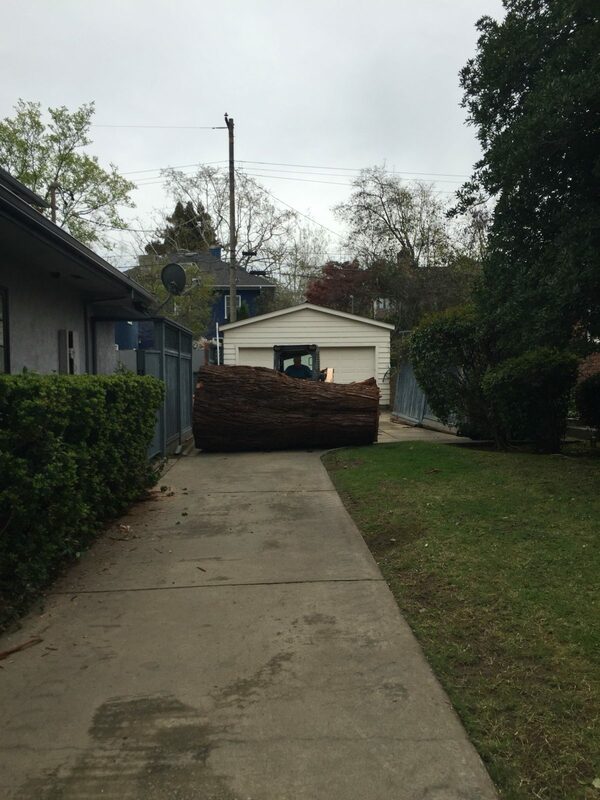 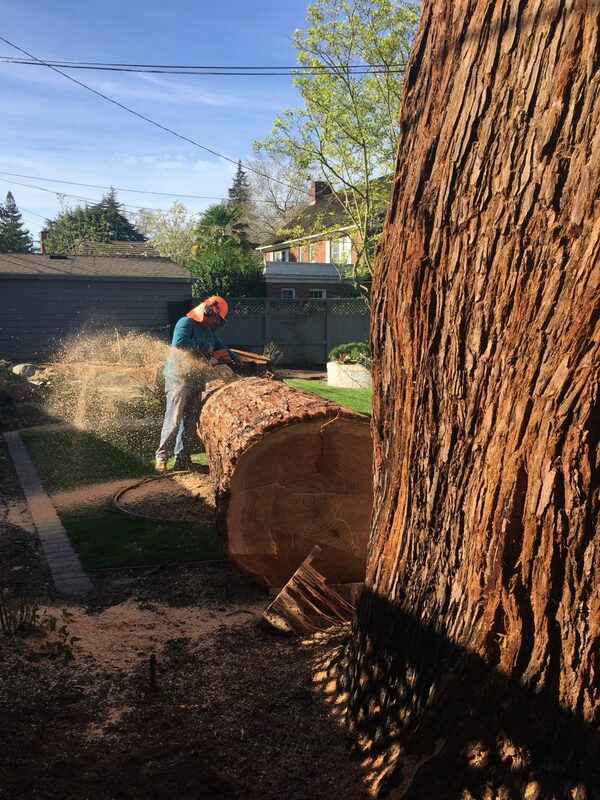 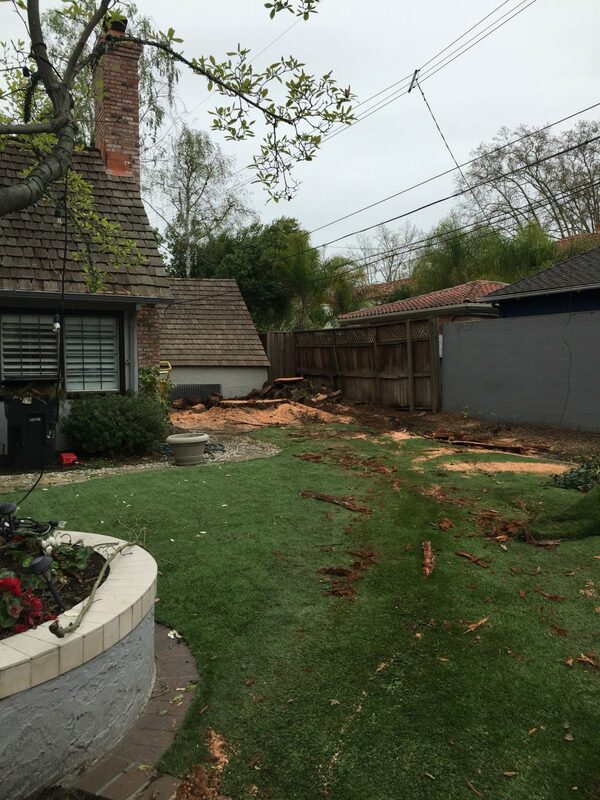 We were recently contacted by a homeowner in the fab 40’s who had a 120′ tall Redwood tree that needed to come down. 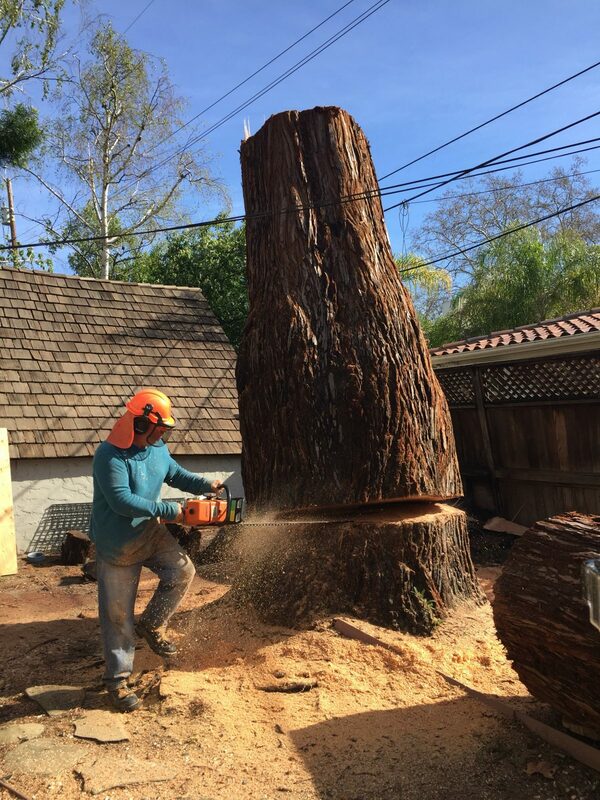 As opposed to it getting cut up into firewood they wanted the wood to be used and made into something beautiful, that is right up our ally. 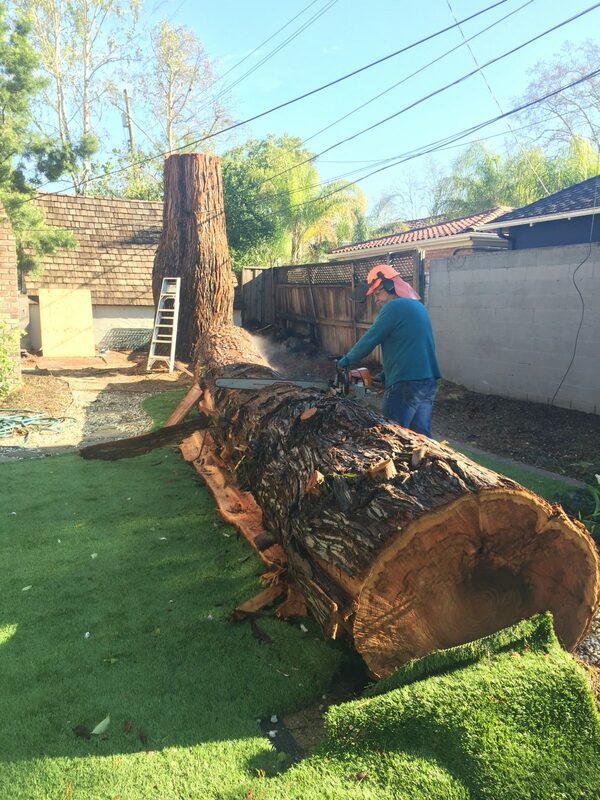 We were able to save 4 10′ sections of the tree and they will make gorgeous live edge slabs.